I have an exciting giveaway this week! Club Carlson, the global hotel rewards program that includes the Quorvus Collection, Radisson Blu®, Radisson®, Park Plaza®, Park Inn® by Radisson, and Country Inns & Suites By Carlson (SM), has given me a prize package to give away. I have TWO packages to give away - one to each of two randomly selected winners. If you travel frequently, and especially if you are already a Club Carlson Gold member, this is a fantastic prize. Please note that there may be only one individual winner for each prize and they cannot be combined. If you would like a chance to win, leave a comment telling me one feature or benefit of the Club Carlson Visa you would be excited to use. Please fill in the email field of the comment form (your email isn't shared with anyone, and I will not send you email unless you win). There are several additional ways you can get entries in this contest. Each takes only a few minutes! For Five Entries: Signup for the DeliciousBaby mailing list to get family travel tips and access to special offers and giveaways. I promise never to share your email address or personal information. I get automatic notification when you sign up, so there's no need to come back here and let me know. "Like" DeliciousBaby on Facebook, and come back here to tell me that you did. I use my Facebook page to share exclusive giveaways, discount codes and other opportunities. Subscribe to my RSS feed (either by reader or email). Leave another comment telling me you did. All entries must be received by Friday May 23 2014 at 11:59PM PST I will choose two winners randomly and announce the results here by Monday May 26, 2014. A purchase will not increase your chances of winning. Void in Puerto Rico and where prohibited or restricted by law. To enter, you must be a U.S. resident, age 18 or older. Employees, partners and vendors of DeliciousBaby and their immediate family members are not eligible to enter. We will disqualify any entries that we believe are generated by scripts and other automated technology. When applicable, the winner may be required to execute and return within five business days an Affidavit of Eligibility and a Liability and Publicity Release to be eligible for the prize or an alternate winner will be selected. Winners must claim their prize within three business days after the date of notification of such prize. A Giveaway winner's failure to respond to the prize notification and provide a shipping address within the specified three business days will be considered such Giveaway winner's forfeiture of the prize and an alternate winner may be selected from the pool of eligible entries. If an entrant is found to be ineligible, an alternate winner may also be selected from the pool of eligible entries. All prizes will be awarded. No substitutions including for cash are permitted, except that DeliciousBaby reserves the right to substitute a prize of equal or greater monetary value for any prize. Winners shall be responsible and liable for all federal, state and local taxes on the value of their prize. In the case of non delivery of a sponsored prize by U.S. Bank or Carlson Inc. DeliciousBaby is not liable for delivery of a prize. By submitting an Entry, each Participant (whether declared a Winner or not) agrees (and agrees to affirm such in writing) to (i) abide by and be bound by these Official Rules and the decisions of DeliciousBaby on all matters relating to this Giveaway which decisions are final and binding in all respects, (ii) waive any right to claim ambiguity in the Giveaway or these Official Rules, (iii) forever and irrevocably release, discharge, indemnify and hold harmless the Giveaway Entities, and each of their respective officers, directors, licensors, employees, representatives and agents (collectively, the "Released Parties") from any liability, claims, demands, and cause of action from personal injury, loss or damage, including death, or property damage, theft, or loss suffered or resulting in whole or in part, directly or indirectly, from participation in this Giveaway or the use, misuse or acceptance or possession of the Prize or any portion thereof, or participation in any Giveaway-related activity; (iv) grant DeliciousBaby (where permitted by law) the right to use their name on a worldwide basis, in all forms of media, in perpetuity without review or further compensation and, (v) warrant and represent that the use of the materials submitted in this Giveaway will not violate the rights of any third parties. Entries must be in keeping with Sponsor's positive image, as determined by Sponsor and Administrator in their sole discretion. Any materials containing obscenity, crude language, or descriptions of a violent or sexual nature (as defined solely by Sponsor or Administrator) will not be accepted and the associated Entry will be disqualified. Receipt of any of the prize components of this Giveaway is conditioned upon compliance with any and all applicable federal, state and local laws, rules, and regulations. Noncompliance with any of the above will result in disqualification. If for any reason the Giveaway is not capable of running as planned, including infection by computer virus, bugs, tampering, unauthorized intervention, fraud, technical failures, or any other cause beyond the control of the DeliciousBaby which corrupt or affect the administration, security, fairness, integrity or proper conduct of this Giveaway, DeliciousBaby reserves the right at its sole discretion to cancel, terminate, modify or suspend the Giveaway. In the event that the operation, security, or administration of the Giveaway is impaired in any way for any reason, including, but not limited to, fraud, virus, or other technical problem, DeliciousBaby may, in its sole discretion, either: (a) suspend the Giveaway to address the impairment and then resume the Giveaway in a manner that best conforms to the spirit of these Official Rules; or (b) cancel the Giveaway and award the Prizes from among the eligible entries received up to the time of the impairment. As compensation for running this giveaway I received two (2) one (1)-night vouchers valid at Radisson® or Radisson Blu® properties in North America. Mami2jcn on May 19, 2014 at 7:28 a.m. I like the concierge service. It would be helpful to have a concierge arrange restaurant reservations and make recommendations. Mami2jcn on May 19, 2014 at 7:34 a.m.
alaine on May 19, 2014 at 8:05 a.m. I would love the complimentary room upgrades. Kelly D on May 19, 2014 at 9:07 a.m.
S. Herold on May 19, 2014 at 10:02 a.m.
steve payne on May 19, 2014 at 11:05 a.m.
Elena on May 19, 2014 at 11:40 a.m.
Tonya Filleman on May 19, 2014 at 12:54 p.m. I love that you can earn points! KayJanes on May 19, 2014 at 1:08 p.m.
Jennifer Hayden on May 19, 2014 at 2:30 p.m. I subscribed to your mailing list by email. Jennifer H. on May 19, 2014 at 2:30 p.m.
Mary Ann on May 19, 2014 at 2:36 p.m.
sara on May 19, 2014 at 8:57 p.m. I would love to earn points towards free hotel stays. Makes taking a vacation more affordable! sara on May 19, 2014 at 8:58 p.m.
Lizzie Lau on May 20, 2014 at 6:28 a.m. I entered the contest via mailing list, facebook, and feedburner. Betty B. on May 20, 2014 at 8:40 a.m. I would love the free award nights! terry h on May 20, 2014 at 1:33 p.m.
Karl Schackne on May 20, 2014 at 7:28 p.m. I'd use Club Carlton VISA Gold Points during my trip to Puerto Rico in August! Karen S. on May 20, 2014 at 7:36 p.m. I love the initial bonus points offer and would probably use the concierge to help plan trips. TwoWishes Tara on May 20, 2014 at 9:24 p.m.
My favorite feature of the Club Carlson Visa is the Bonus Award Night. We just took full advantage of that amazing feature during a trip to Europe -- on a series of two-night stays in different places, it meant our miles stretched twice as far! Definitely a confirmed fan of the card thanks to that feature. Adrienne gordon on May 21, 2014 at 3:08 a.m.
Margaret Smith on May 21, 2014 at 3:42 a.m. I love the feature that when you redeem Gold Points for 2 or more consecutive Award Nights, your last night is free. Mary Jenkins on May 21, 2014 at 7:38 a.m. I like that if you lose your card they will give you emergency cash while it's being replaced! I lost my card in Europe once, and would have been up a creek if I didn't have a boyfriend with me. Michelle Weaver on May 21, 2014 at 12:11 p.m. I subscribed to your RSS feed via email. Rosanne on May 21, 2014 at 7:30 p.m.
Ashley Tucker on May 22, 2014 at 12:30 a.m. I subscribed to your feed via email. joe gersch on May 22, 2014 at 1:57 a.m.
KIM HARDY on May 22, 2014 at 3:52 a.m.
Bert Ruiz on May 22, 2014 at 5:10 a.m.
Harmony Burmeister on May 22, 2014 at 7:12 a.m.
Beth on May 22, 2014 at 12:41 p.m. I signed up and followed you on FB and RSS. Love Carlson- great value when traveling with families. getting a bonus night with each stay makes it a great deal. Plus automatic GOLD membership gives you many upgrades. anna pry on May 22, 2014 at 3:21 p.m.
Richard Hicks on May 22, 2014 at 5:52 p.m. Subscribe to my RSS feed by email. Leave another comment telling me you did. Sarah L on May 22, 2014 at 8:37 p.m. I like the 5 points per $1 spent in eligible net purchases everywhere else. janna johnsson on May 22, 2014 at 8:46 p.m.
free award nights and points!! Denise Donaldson on May 23, 2014 at 7:43 a.m.
Latonya Ramsey on May 23, 2014 at 2:15 p.m.
Susan Smoaks on May 23, 2014 at 5:01 p.m.
i like the concierge service and the entertainment benefits. MARIA simon on May 23, 2014 at 7:09 p.m. I subscribed to your newsletter thank you..
Joshua Johnson on May 23, 2014 at 7:26 p.m. I love the fact that it has a $1 million travel accident benefit. I have a 6 month old and another child on the way and knowing that I have their future in mind if I get hurt, just gives me a peace of mind. amy on May 23, 2014 at 7:42 p.m. I liked you on Facebook. Just discovered your blog through Red Tricycle. I would love to take advantage of the concierge service! 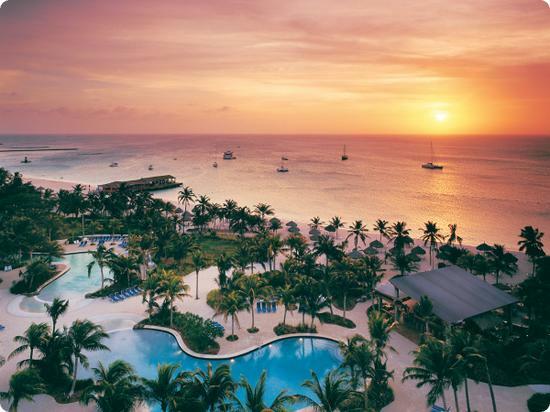 Aly Morell on May 23, 2014 at 10:18 p.m.
resor till Curacao on November 11, 2014 at 10:47 p.m.
A good recreational place for the family trip.